Students International has a unique focus on providing challenging cross-cultural experiences geared towards students through occupational ministry opportunities, and will give students the opportunity to connect to many major areas of study pertaining to ministry and meeting the needs of the people. While staying at their base in Jarabacoa, Dominican Republic, you will have the opportunity to serve in a variety of settings at various locations nearby, using your specific passions and skills. Ministry site focuses include education, construction, social work, physical therapy, medical care, dental care and sports among several others. 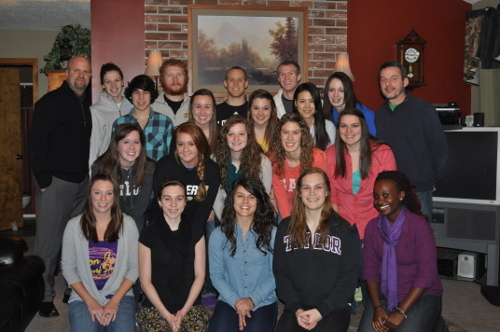 Please pray for the Students International missionaries and staff and their ongoing ministry in the Dominican Republic. Pray that our time with them would be a blessing and an encouragement to both them and the people they serve. Please pray that we would have the courage to share God’s message when we have the opportunity ad have open hearts to being vulnerable. Please pray that we would have energy, health, and joy in every moment we have there to give all in our service. Please pray that the language barrier would not hinder our ministry and that God would use us to communicate despite those barriers. Please pray for spiritual protection for our team and a blessing upon the work God has for us to do. This entry was posted in Dominican Republic 2013, Spring Break 2013. Bookmark the permalink.